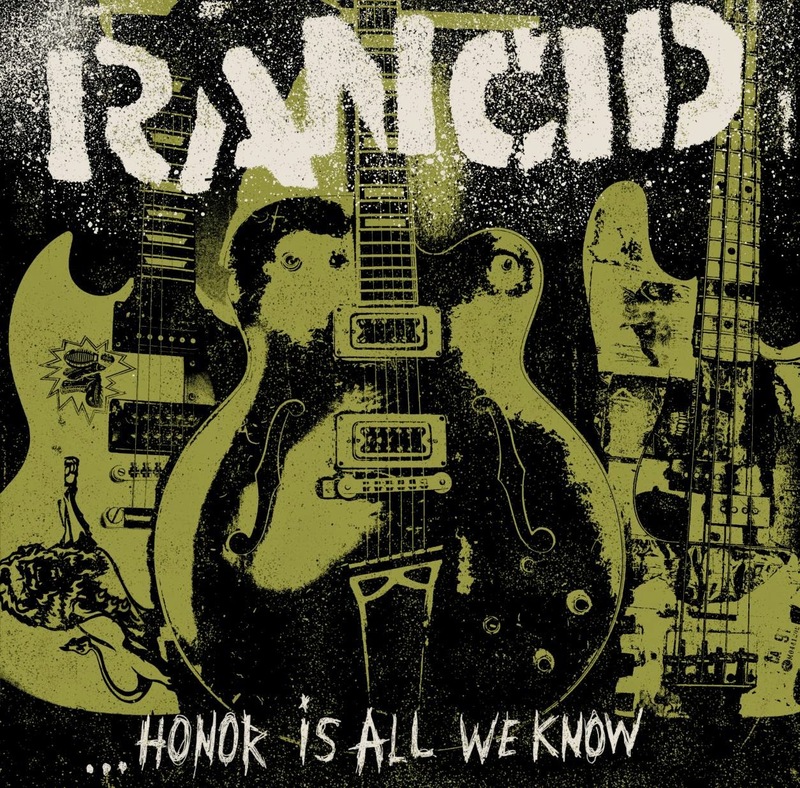 I don't think I have to go into a lot of background about Rancid, who the band is, and what they've accomplished. If you aren't familiar with them by now, you've never liked punk rock. The rest of us who know the band well really won't be surprised by anything we hear on ...Honor Is All We Know, their new album that came out this week. The record opens with a bang as "Back Where I Belong" wallops you with gang vocals that create an instant singalong anthem. The vocals duties are often swapped, but when Tim Armstrong and Lars Fredericksen trade off on "In the Streets" it hits this album's pinnacle. The best guitar work comes on the blistering "Already Dead". Of course there is an element of ska as well. It's front-and-centre on the groovy "Everybody's Sufferin'" and the Halloween-appropriate "Evil's My Friend". The lyrics and themes are socio-political as always, with the strongest vibe being produced on the hotly passionate and empowering "Every Man Alive". Elsewhere, on "Raise Your Fist", it's a contrived defiance that unfortunately comes across as incredibly insincere. Most of the songs are unremarkable but fun punk tunes. Enjoy them on that level and you won't be disappointed. Best tracks: "Back Where I Belong", "Everybody's Sufferin'"